19 Aug	This entry was published on 2012/08/19 at 12:56 pm. 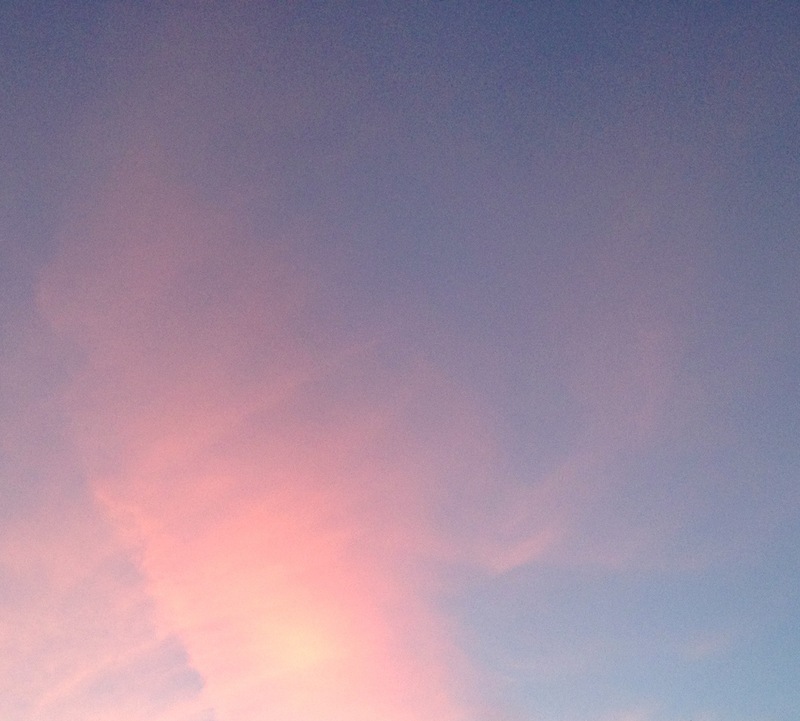 It’s filed under Feelings, Haiku, Nature, Summer, Weather and tagged blushed, clouds, dawn, for all to see, Haiku, haikugrams, haikumages, kissed, pink, public, publicly, sky, sunrise. Bookmark the permalink. Follow any comments here with the RSS feed for this post. Older: An untended field / beckons from beyond a gate / in silo’s shadow. Newer: Lights come on / telling dusk to let / the night fall.